Many dog owners are confused when their dogs seem to be intelligent but prove to be difficult to train. Intelligence and trainability are not the same thing. In fact, many dog trainers consider the more intelligent dog harder to train. Intelligence refers to a dog's ability to solve problems, while trainabil-ity is related to the ease with which a dog can be convinced to take direction from a human. A dog might use his intelligence to get what he wants, but he won't necessarily use it to do what you want. It is interesting to note that most puppy behavior tests do not test for intelligence, but test more for factors that affect trainability. Being able to train a dog is more important to how people get along with their dogs than intelligence. Maggie was a mixed Shepherd who displayed a mixture of intelligence, independence, and assertiveness that frustrated her owner. Maggie learned to open the latch on the back door to let herself out of the house. She learned to listen for when her owner was in the bathroom so she could raid the garbage can. To help get some control, Maggie's owner enrolled both of them in a local obedience class. Maggie quickly learned all the exercises— heeling, sit-stay, lying down on command. She learned just as quickly that she only had to do these things in the class because at home her owner didn't make her obey the commands. Maggie was certainly an intelligent dog, but trainable? Maggie's owner didn't think so. What makes a dog trainable? Trainability depends on a combination of personality factors. The average pet owner finds a dependent, passive dog with a low to medium energy level, low reactivity, and passive defense reactions easiest to live with. A dependent personality is probably the most important factor, because it makes a dog anxious to seek your approval. Dogs are harder to train when they are assertive, are independent, have a high energy level, or are highly reactive. Nonetheless, any dog without a psychological disorder is trainable. The training techniques described in this book work for dogs of many different personalities. For instance, using food motivates independent dogs who are not motivated by praise as are more dependent dogs. 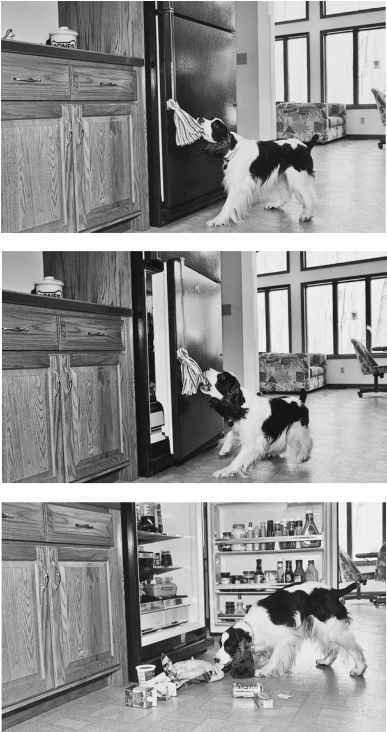 Food rewards help keep the attention of a highly reactive dog, and they reduce the need for force that may induce an assertive dog with active defense reactions to bite. While training some dogs is easier than others, training is unsuccessful only due to human error, such as failure to communicate what is wanted, failure to adequately motivate, inconsistency, lack of patience, or just plain giving up. 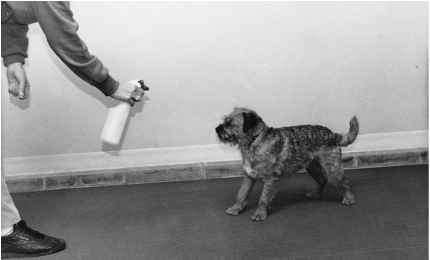 Does trainability and intellegence relate in dogs?